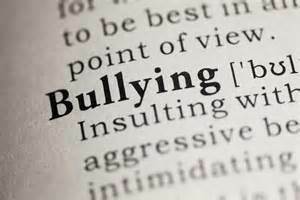 The topic of bullying is usually associated with children and adolescents. Kids are bullied at school, in their neighborhoods, and through social media. It can be by people they know, or when it is through social media, it can also be by people they have never met. When you are the recipient of such actions, it is an extremely painful, lonely, and helpless experience. Even adults can be bullied – sometimes by people in their own families. 2. Refusing to have any contact with her MIL. If the MIL tries to call or contact her DIL, the DIL ignores the MIL’s attempts, which puts the MIL in a position of feeling completely helpless. The DIL is seeking to shift what she views as a power position. Her goal is gain the power she perceives or fears the MIL has in their relationship. 3. Making snide comments about the MIL. These snide comments are done while in the presence of other family members, even to the grandchildren. Such things as making fun of her, belittling her as a mother or grandmother, (as well as other comments) are done whether the MIL is present or she is not. As you can imagine, this takes away from the MIL’s integrity in the family. This is especially damaging when the grandchildren are within earshot. People who bully – in this case a DIL who bullies – does so because she is immature, insecure, has low self-esteem, and wants to feel powerful or important. And because she does not know how to feel important or powerful in any other way, she bullies. She perceives or fears that the MIL is more important and/or has a higher status in the family than she does. She feels she needs to take this status away from her MIL. She bullies because she wants everyone, but particularly the MIL, to know the importance of her place in this new family. Or, maybe more importantly, she wants to take any power or importance away from the MIL. What Can a MIL Do? Unlike bullying that occurs between children and between adolescents, a DIL who bullies her MIL is really involving the whole family. And this is where things get complicated. As a rule the family dynamic is set up in such a way that no one deals directly with the bullying problem. The MIL (and her side of the family) is afraid to do or say anything for fear of retribution; the DIL’s husband doesn’t see it, doesn’t want to see it, or doesn’t know what to do when he does see it; the DIL’s side of the family is either in collusion knowingly or not, or they are afraid of her as well. If the MIL talks to her son she puts him in the middle, and often times, he gets upset with her because he doesn’t know what to do either, and he doesn’t want to create problems at home. If the MIL gets angry and expresses her frustration to her DIL she only makes the situation worse, as this give the DIL the ammunition she needs to justify her actions. However, if keeping the peace means doing nothing, then that is not the answer either. So what’s a MIL to do? Recognize the characteristics of her DIL who bullies her – immature, insecure, low self-esteem, and feels powerless or unimportant. Find the reason behind the DIL’s response of bullying – in other words, what does she believe you’ve done or said to give her justification for acting this way? Please keep in mind that her justification may or may not be based on something that is true/accurate. This doesn’t matter. What matters is that this is her perception. Her perception is your starting point. Once you knows what the catalyst is, you are in the position to begin changing your situation with your DIL – without getting defensive, explaining or justifying yourself in hopes of getting your DIL to see your side of things. Sometimes a DIL is not willing to even talk to her MIL. I suggest the MIL initially write “appreciation” letters to her DIL (I write about this in my book, Reluctantly Related). This begins to open the door a bit, and then, you can begin the process I described above. The key is to realize that your DIL wants to feel as though she matters and that she is an important person in the family. She wants to be recognized for her new position with her husband. My next blog post will deal with the other side of this situation – when a MIL bullies her DIL.